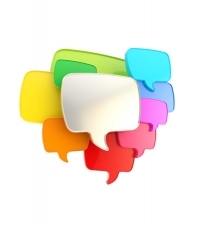 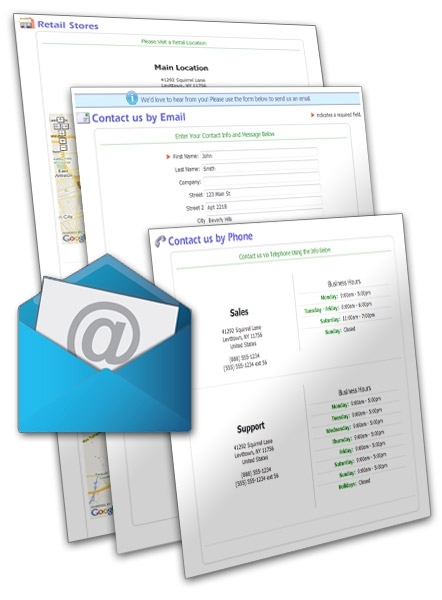 Our contact module facilitates communication between your customers and your staff. 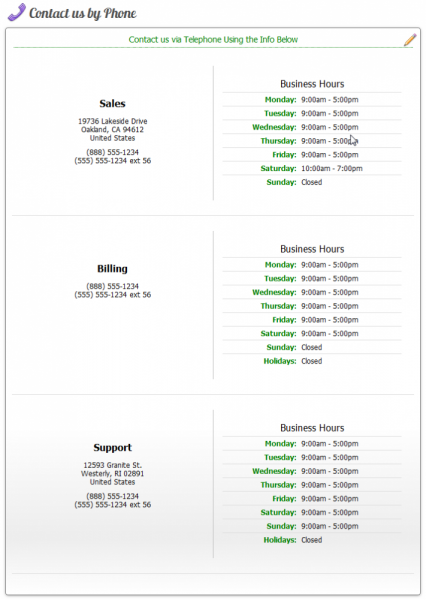 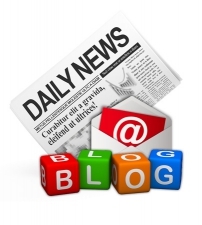 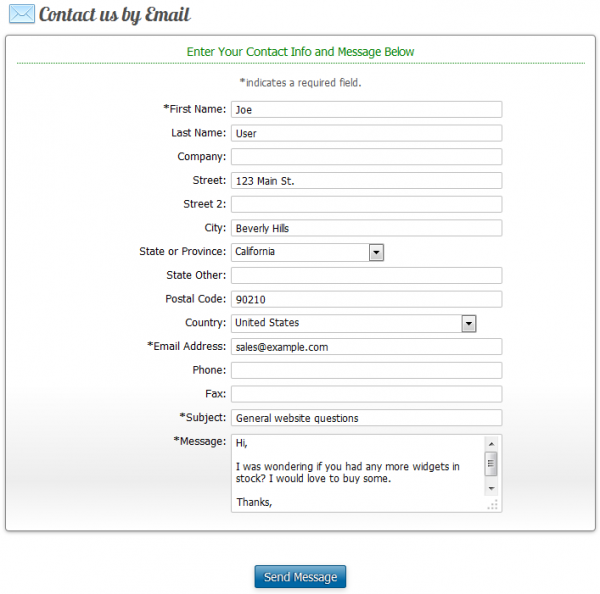 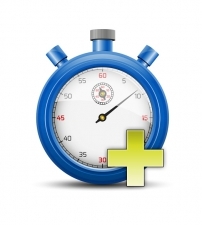 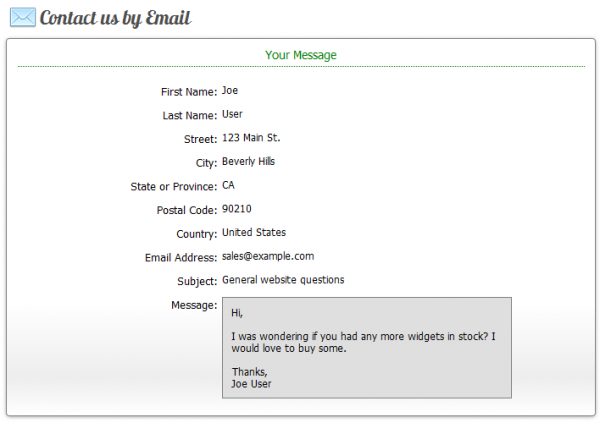 It provides a customizable contact page with an email contact form. 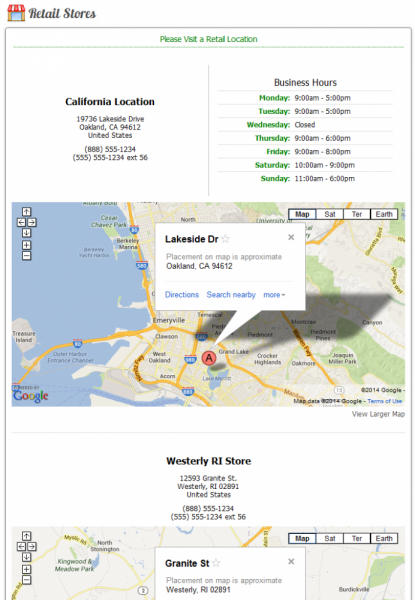 It also provides optional sections on your contact page for displaying your retail store locations, and department contact information. 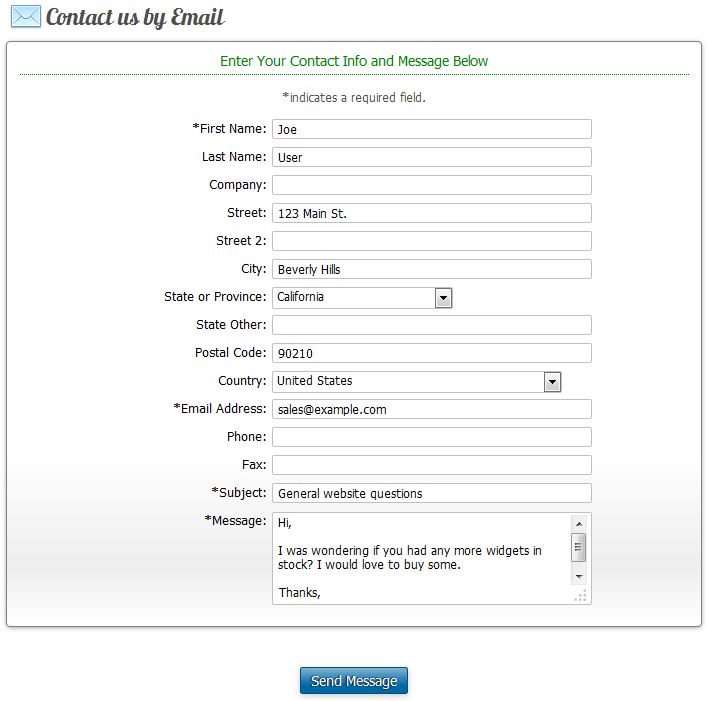 Contact form for customer to send you an email, with an optional vCard attachment containing all of their contact information. 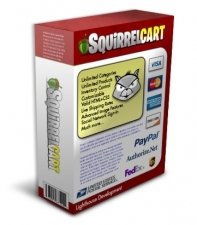 Customer can receive a confirmation email if enabled, along with an optional vCard containing your contact info. 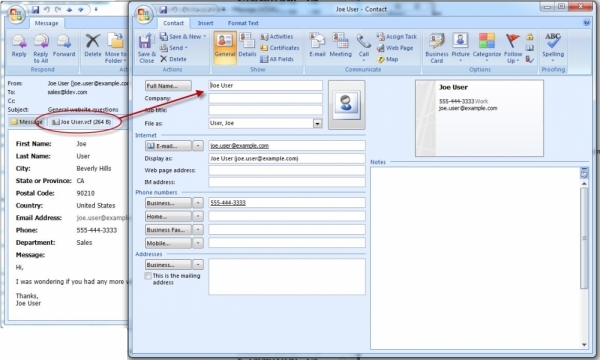 vCard support, to include a .vcf file attachment in contact emails, containing all contact info. 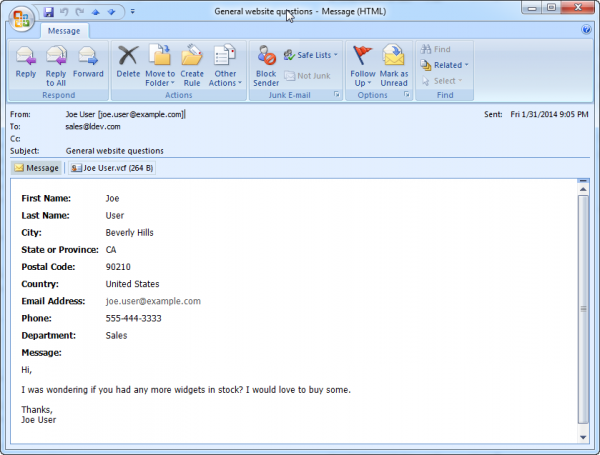 vCard files can be used to add contacts in Microsoft Outlook, smart phones like the iPhone, and many other applications.